How to Create a Custom URL for YouTube channel? I have one YouTube channel – Java Tutorials but it has got some weird URL. Please help. Do you have access to the custom URL feature (in Creator Studio Classic it’s under Channel – Custom URL)? There are some eligibility requirements for that though. When setup, you can reach your channel via youtube.com/yourname (for example, youtube.com/javatutorials). 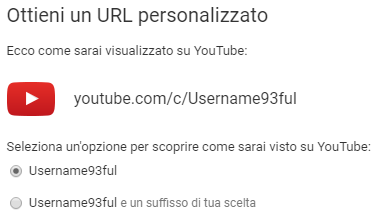 Gosh, that’s just YouTube being difficult again 🙂 I’ve had a similar issue, I’ve changed my user name and wanted my URL to match, but I already had claimed a custom URL. So what I ended up doing was to change my display name first, then relinquish my custom URL to claim a new one. That was cumbersome, had to go over to my Google’s Brand profile or some such. Once the new display name was in place, I could claim a new custom URL, which would now no longer suggest the old user name. Perhaps, with your new display name in place, leave it for a few days, then relinquish your old custom URL and claim a new one. That’s all I can think of. Are you positive that if I move my existing Channel to a new Brand Account, the Custom URL menu will change and it will take into consideration the Brand Account’s new display name instead of my Legacy Username? 🙁 Thank you for the reply! Tricky one. I have one Brand account and one personal account, and the URL change option seems to be the same on either one. Perhaps Google need a bit of time, give it four weeks and try again. I’ve heard that some eligibility perks will only kick in after 30 days.